Essential Oil Blends are specially formulated by mixing of different essential oils targeted towards different conditions. 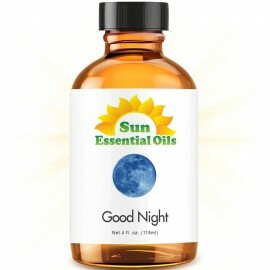 Ancient Living De-Stress Blended oil helps awaken your tired mind and body with its invigorating aro.. Ancient living Focus Blend Oil helps create a calm, focused ambience so that your mind and body gets.. Ancient Living Calm Blended Oil creates an overall calming and soothing ambience which helps you win..
Nirvana ROMANCE Essential Oil Blend 5 mlRomance Essential Oil Blend is an exotic, luxurious..
Nirvana STRESS Essential Oil Blend 5 mlStress is a major contributor to illness and disease..
Plant Therapy Citrus Burst Synergy Essential Oil Blend. 100% Pure, Undiluted, Therapeutic Grade. Blend of: Grapefruit, Lemon, Lime, Litsea, Mandarin and Orange. 10 ml (1/3 oz).